Many times in Haiti, pastors set aside their ideal of safe areas when they embrace the courage to follow God wherever he may lead them. God led Pastor Elysée to Biggarouse while many of the local community was rapidly leaving the area due to an increased level of crime, voodoo and lack of good that comes with a community of people who love Jesus. “It is a miracle how God made me start the village. It was a really difficult community. People didn’t want to live there anymore. But when God put on my heart to start the church here, I started with a crusade in the community. During the crusade in February 2002, many people came to Jesus. When people saw that the Gospel was being preached again, they came back to the community because they believed there would be some changes. The first thing we had was the church and we started in a tent, then we started a school. After the school, we started the orphanage,” Pastor shared. When it came to finding the land for the village after Pastor started preaching to the community, it was a dream from long ago that materialized in front of him while walking down the road outside what would become his village to house kids and where many come to school. “I can say that I was sent by God to this community. I had a dream. When I had the dream, I saw that I began a ministry in a place like where we are now. I kept looking, but all the other places I looked they were not right. What I saw in my dream is exactly the same, there is a corner then a divide in the road right where the place was in my dream, and that corner and divide in the road is the one right outside where the village is now. That is how I knew God wanted me to start the ministry here. I always live by faith, and I knew that God was going to make my dream come to pass,” Pastor said. The Lord has led GO Project to support the leadership of Pastor Elysée as he cares for economic and social orphans at his village in Biggarouse outside the city of Cayes. At GO Project, individuals or communities can contribute to life care and education costs of the orphans on a monthly basis or through long-term support of the pastors. 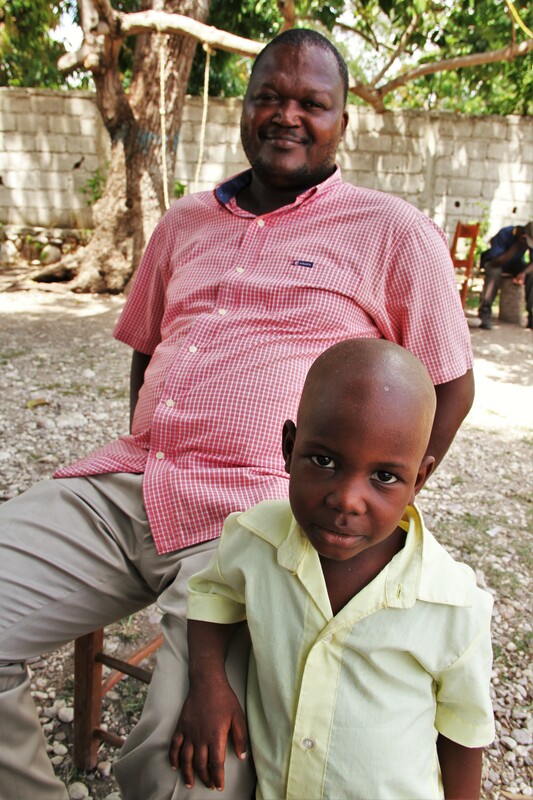 This entry was posted in Haiti, Pastors and tagged GO Project, Kingdom, leadership, pastor, prayer, Story. Bookmark the permalink.